Traditional Deck Mounted Pot Filller. 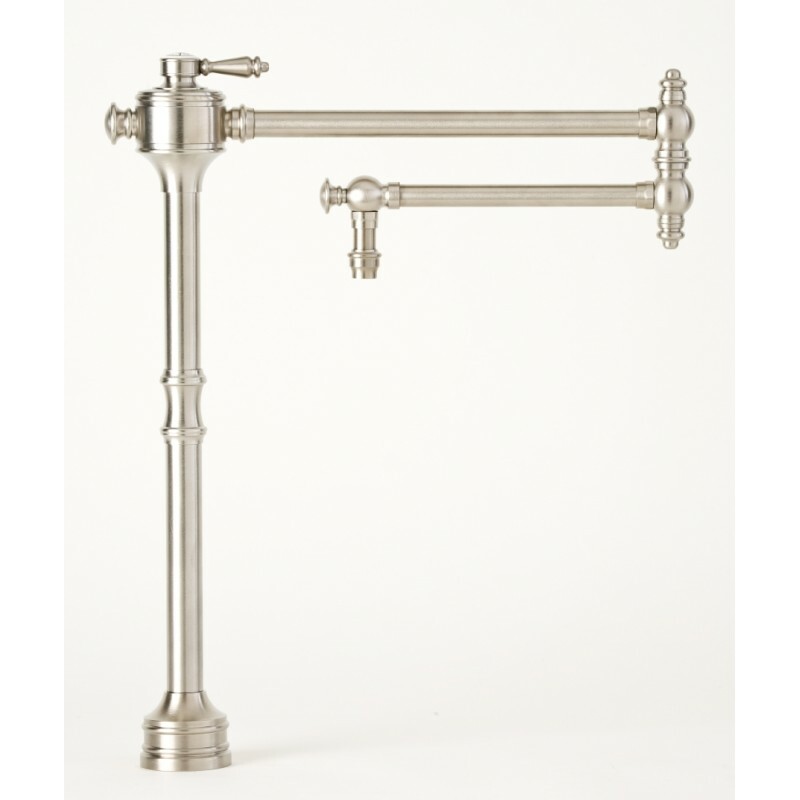 Solid brass construction and lever handle with 22” reach spout featuring a built-in check valve to prevent dripping. ¼ turn ceramic disk valve cartridge and aerated water stream.